Have to give shout out to Almost Evil for pointing out the new feature on Wowhead. 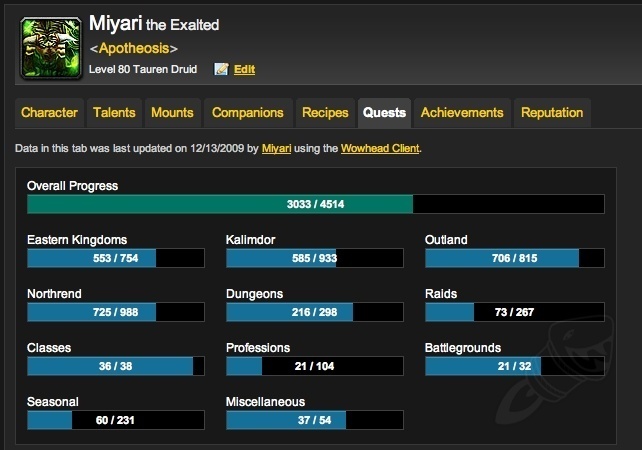 If you run the WowHead client, it will help you with tracking quest completion; pets you have and even recipes you know. This might be able to solve my quest tracking add-on quest. Reload the addon tonight.